Apple recently closed a deal worth about $20 million to acquire WifiSLAM, a Silicon Valley firm focused on building technology that affords users positioning data while indoors. The Wall Street Journal was able to confirm the acquisition with an Apple spokesman, though the company did not give details of the deal or what it plans to do with WifiSLAM's "indoor GPS" technology. "[Apple] buys smaller technology companies from time to time, the spokesman said, declining further comment. In the report, the publication cited people familiar with the acquisition as saying Apple paid some $20 million in the recently closed deal. 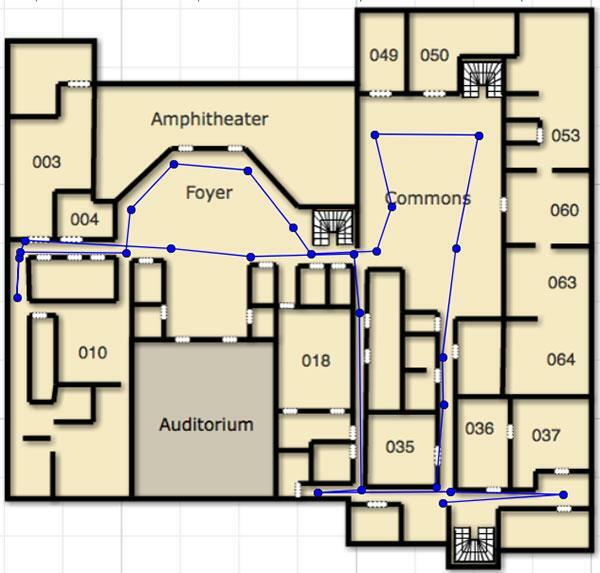 WifiSLAM is a developer of indoor positioning technologies, which extends location data to the inside of buildings and other structures using Wi-Fi signals. The data can be used by third-party apps to accurately grant handset users positioning data where GPS signals are absent. The indoor positioning startup is two years old and has already raised funding from angel investors, though the exact amount is unknown. WifiSLAM has a number of ties to Google, including the company's co-founder Joseph Huang, who was a software engineering intern at the search giant. Current Google employee Don Dodge is also listed as an angel investor. Apple could implement the positioning assets into its much maligned iOS Maps app as an answer to Google's Indoor Maps initiative, which leverages crowdsourcing to deliver indoor location information for a number of sites worldwide. While Apple's first-party mapping service has seen improvements since stumbling out of the gates in September 2012, many users still prefer to use the Google Maps iOS app, which offers features like Street View and a more robust set of satellite imagery.